There have been many issues involving theater subscription service MoviePass. Questions of the sustainability of the business model have been discussed at length and blowback from studios and theater chains was almost to be expected. AMC even threatened the company with legal action. The burgeoning business is now facing a new, albeit welcomed, problem: high demand. Ever since the start-up cut its pricing down to $9.95 per month, it has been struggling to keep up with a flood of subscriptions. MoviePass has already surpassed 400,000 subscribers with over half coming after the price cut last month. The demand leaves little doubt that the concept is something consumers want. The bad news is that not even CEO Mitch Lowe anticipated the service would be so popular which has led to a very bumpy beginning. The large volume of subscription requests bogged down the MoviePass website for a while after the rate was lowered. While that problem seems to have been resolved, the enormous load is still causing delays in getting MoviePass cards out to people. An inadvertent “manufacturing queue reshuffle” is also causing some newer subscribers to receive their cards before others who have been waiting a while. What do companies do when faced with problems like these? Lowe said they have hired more staff to keep up with the unexpected volume. MoviePass started out with just nine employees but has since expanded its payroll to 35. There is no reason to doubt his confidence, as this is not Lowe’s first rodeo. As a co-founder of Netflix, one could say he knows his way around the movie subscription business. It's currently taking about two to three weeks for new members to receive cards. 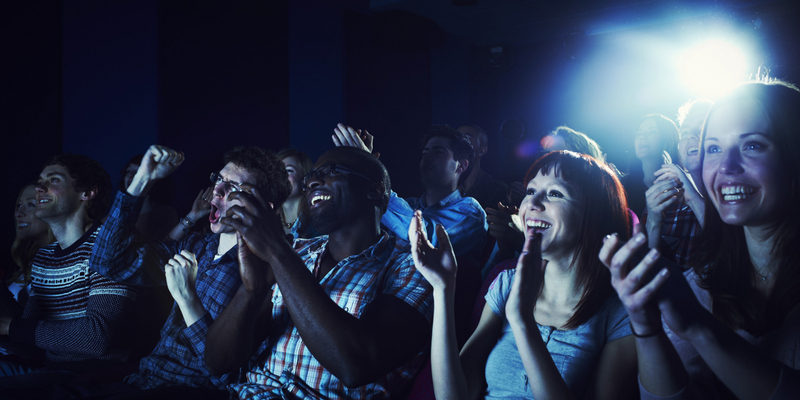 In the interim, you can still catch flicks using e-tickets although only Goodrich Quality Theaters, Studio Movie Grill and MJR Theaters support them.